It's coming up quickly: the 2017 Disneyland Double Dare (you know, that race we used to call Dumbo...). I just ran the Tink half poorly trained, so I knew that I wanted to put a little more time into my next runDisney race. 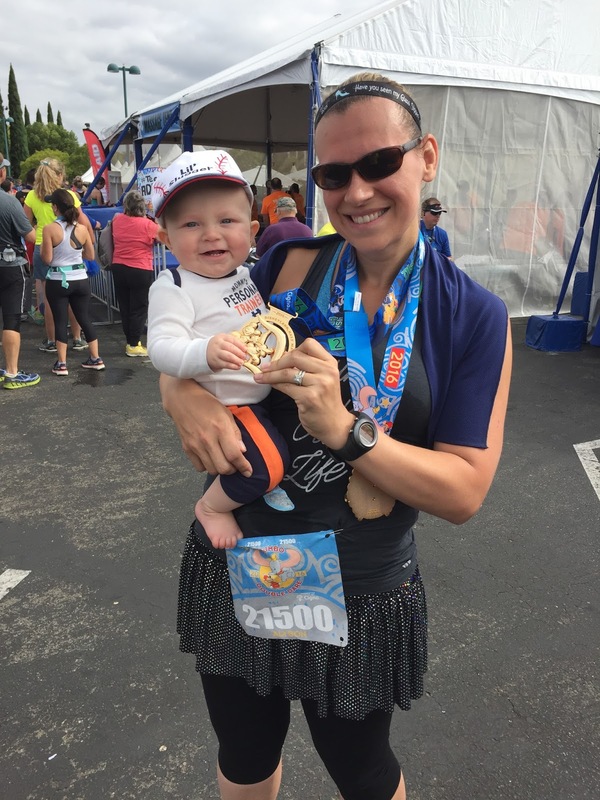 Since Robby's been born, I have not had much success sticking to a structured training plan. I used to be SO good. Color coded calendars. Journaling my progress. I did it all. Then, well, baby and life and home and work (but let's be honest, it's mostly baby). I have been able to really think about the challenges that are holding me back from a highly structured plan. First, my neighborhood doesn't have sidewalks. Not a big deal when you run solo, but I don't feel comfortable on country roads with lots of turns and hills with a big stroller. Second, the weather. Okay, I know most people have to deal with weather, but my Vegas self isn't used to it. I also feel pretty guilty dragging my toddler out in the rain so I can run. Finally, our schedule, which is probably the most prohibitive. For those of you who don't know, Bill travels for work, which means most of the time is just me and Robby. That means no early morning runs while he sleeps; no late nights after dinner. This also means no runs over about 4-5 miles with a stroller. After thinking about my individual challenges, my current plan is a little nontraditional, at least for me. I came up with a weekly plan with 4 runs each week. Instead of putting them on specific days, I have put them in order of importance: long run, short run, speed work, short run. I have to say, in the few weeks since starting, I haven't been able to get these all in. What has worked, though, is I'm getting in my long runs, regardless of the day of the week. I'm getting at least one more run, and this week I actually got a track speed session in. Obviously I still have many weeks to go (thankfully) and I still am not completely sold on this training plan. I like to be a bit more committed, but hey, life, right? Anyone else have a nontraditional training plan? What's it look like?